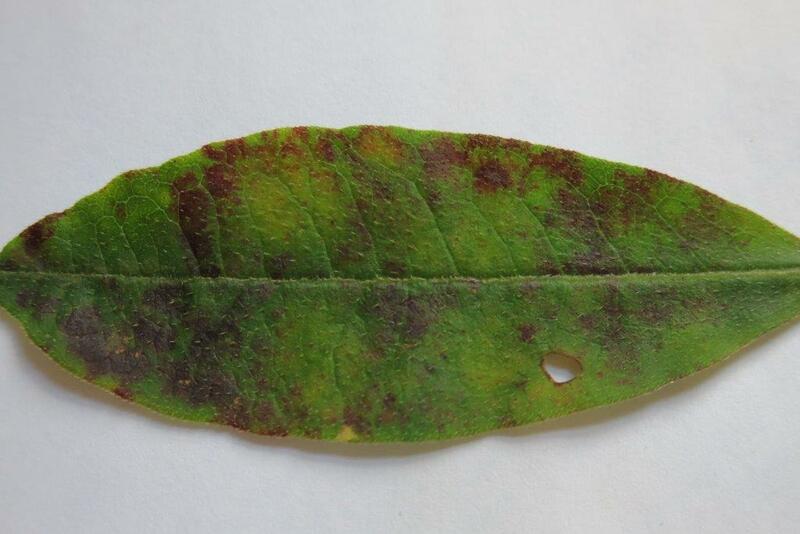 I have reddish spots and irregular areas on some of my azalea leaves. Is this likely to be Colletotrichum Azaleae? Could it be something else? What causes it and how can I treat/eliminate it? Thank you for your assistance. You might want to take a look at a UMass Extension fact sheet that covers your question and makes suggestions relative to causation and treatment. I think that you are quite likely correct in your diagnosis, and fortunately, causation and treatment seems relatively straightforward.